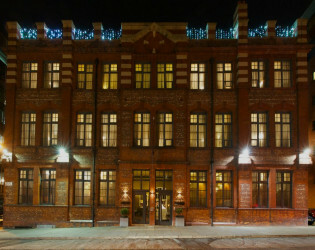 Manchester’s most urban venue, this original Victorian school house has been transformed into a chic luxury townhouse hotel. 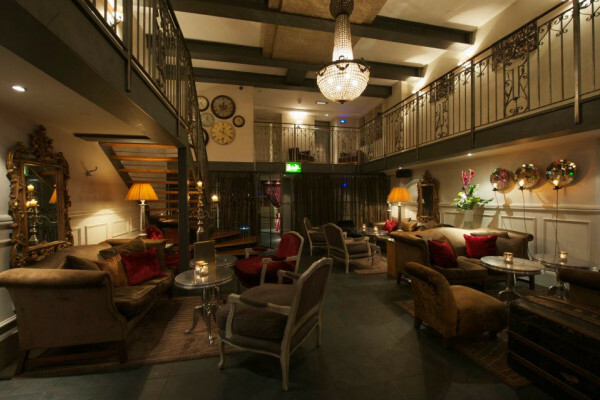 The unique atmosphere may charm and bewitch you from the moment you step inside, with the pewter bar, striking overhead chandelier and the showpiece south facing Rooftop Lounge and Playground alongside 30 individually designed bedrooms and suites. 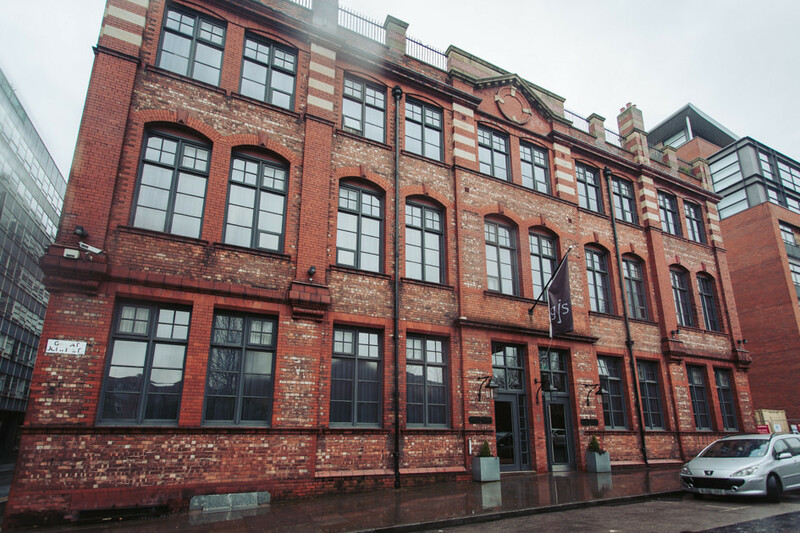 Possibly Manchester’s most urban venue, this original Victorian school house has been transformed into a chic luxury townhouse hotel. 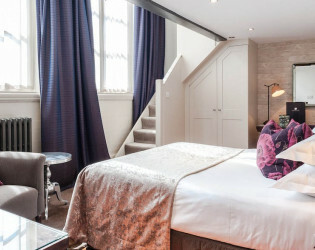 The unique atmosphere may charm and bewitch you from the moment you step inside, with the pewter bar, striking overhead chandelier and the showpiece south facing Rooftop Lounge and Playground alongside 30 individually designed bedrooms and suites. 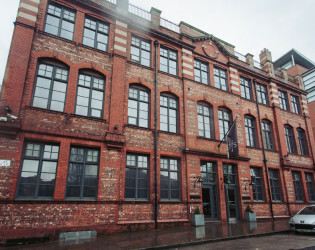 A characterful meeting room conveniently located within Manchester's bustling city centre. With a strong technical specification and terrace breakout area, this space is well suited to hold a boardroom meeting for 22, a working lunch or dinner for 40, or even a seminar, presentation or drinks reception for up to 50. 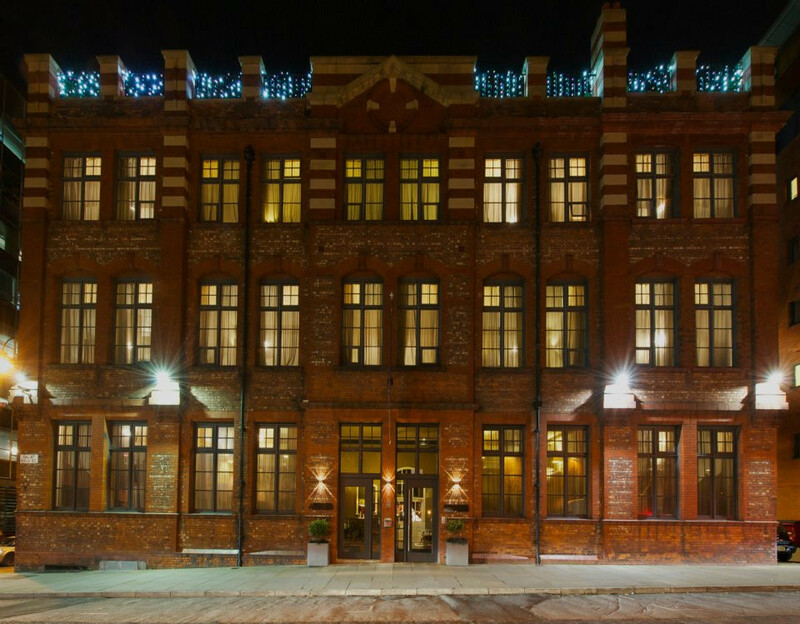 Being situated within the delightfully eclectic Great John Street hotel, additional function rooms, overnight accommodation, dining and relaxation facilities are available to delegates. The Headmaster's Office is a sleek and modern meeting room which retains many original features. Also, it features a variety of technical equipment to aid presentations and seminars. If more space is required for a larger conference or corporate networking event with up to 100 delegates, the Headmaster's Office can be hired alongside the Mezzanine & Kitchen. 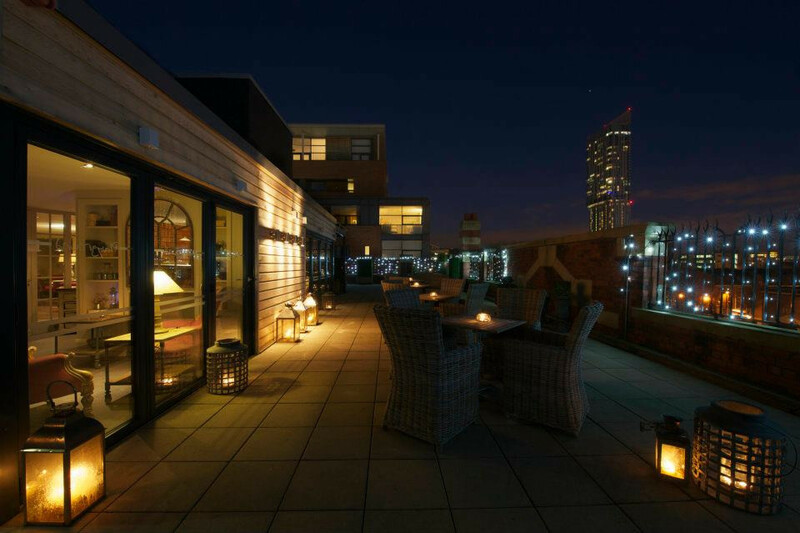 Overlooking the lively Oyster Bar, the airy Kitchen & Mezzanine is a superb area, able to accommodate up to 100 for a drink reception, birthday party, buffet or sit-down dinner. 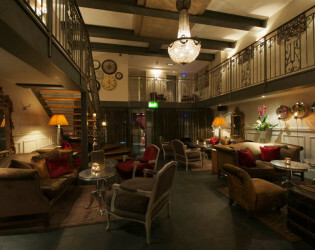 The space can be hired privately, or alongside the Oyster Bar and Headmaster's Office as a breakout and refreshment area. These light and airy meeting rooms are located on the hotel's ground floor. Individually the rooms can seat 12 for a board room meeting or conference, 14 for a working lunch or corporate dinner, or up to 60 delegates if hired together. By hiring the Boys' & Girls' Classrooms, delegates also have access to a delightful outside breakaway area. 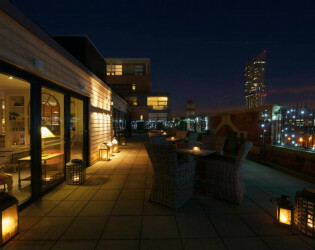 The elegant Rooftop Lounge is a unique venue in Manchester with access to the iconic south facing terrace which makes it an ideal venue for lively birthday, or anniversary parties and corporate events. 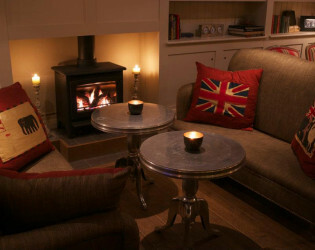 The hotel can cater for parties with 8 to 150 guests and can provide an array of refreshments from canapés, to BBQs, hog roasts, buffets, afternoon teas and sit down meals to suit all dietary requirements and personal tastes. Welcome to the Great John Street, an eclectic townhouse hotel. 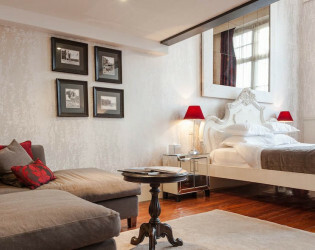 These duplex suites are designed with an emphasis on style and comfort using antique crystal chandeliers, sumptuous fabrics and flamboyant colour schemes. 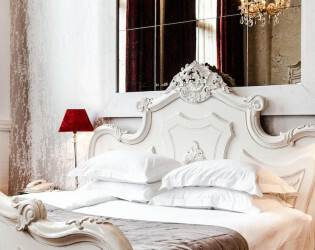 Amongst the many original features are the huge windows flooding in an abundance of natural light. 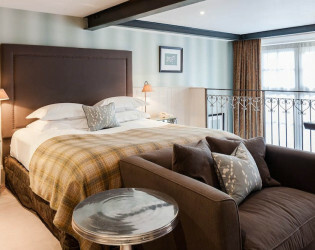 There are eight duplex Boudoir Grand bedrooms located on the first and second floors of the Old School House. 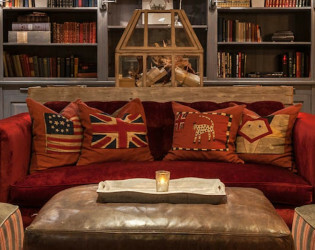 These are larger than the Baby Grand ranging in size from 330 - 400 sq ft.
Each room has been individually designed and many retain original features such as exposed brickwork, steel beams and old wooden floors that you would expect to find in a building of this age. 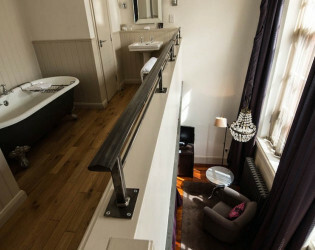 These junior suites are very individual and vary in style from single level to duplex. 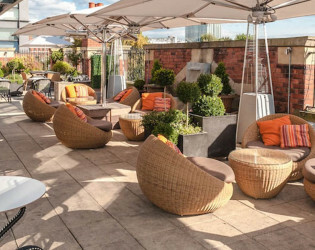 The elegant Rooftop Lounge is a unique venue in Manchester with access to the iconic south facing terrace which makes it an ideal venue for lively birthday, or anniversary parties and corporate events. 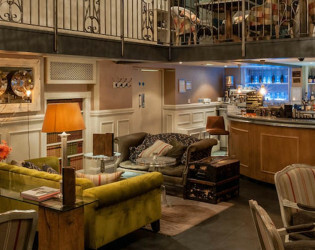 Designed by Sally O’Loughlin, the Oyster Bar's chic décor, deep comfy sofas and luxurious armchairs creates the perfect place to meet for a coffee, enjoy traditional afternoon tea, or simply relax with a glass of wine and a newspaper. 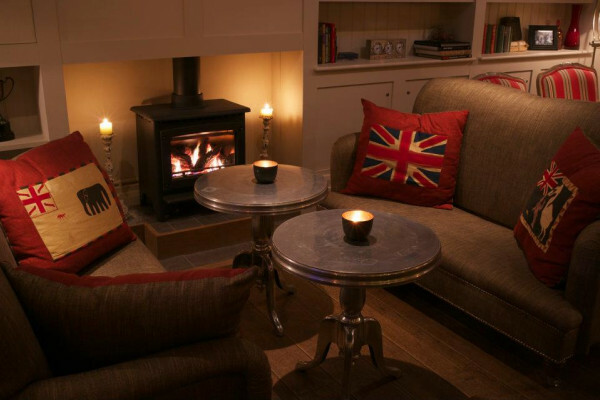 Designed with Ralph Lauren influences creating that cosy home from home feel with patio doors leading to a private terrace.